Review: "Madre De Dios: Madre De Dios" - Sea of Tranquility - The Web Destination for Progressive Music! Here we have the self-titled debut from Italian stoner rock band Madre De Dios, who are comprised of Gigi D'Angella (bass), VInce Floro (drums), Steve P. Jesus (guitars), and Frank Bizarre (vocals). These guys formed back in 2010 in Bari, flooded with influences raging from '70s heavy rock (Led Zeppelin, Black Sabbath, Cactus, Humble Pie, Budgie) to '80s metal as well as '90s grunge. What they've accomplished here on Madre De Dios is an album that might not set the world on fire with ground breaking innovation, but it's sure as hell a lot of fun. Jesus for his part delivers a wide assortment of bluesy, heavy rock & metal riffs, straight out of the Iommi/Page paybook, driving groove laden, beefy tracks such as "Big Head", "High Living in the Sunshine", and especially the two crushers that finish up the album, "Merry Go Round Song" and "Orbit". As for Mr. Bizarre (?!) he has a good voice, and seems at home with both the more '70s styled hard rock numbers as well as the more modern fare. Their take on The Beatles classic "Helter Skelter", here titled "Mater Skelter", is quite enjoyable, though to be honest I'd have rather heard another original tune, but it's cool to hear them having fun with a old classic tune. So, a debut that basically does what it intends to do, by a band that seems to have a good handle on their identity. 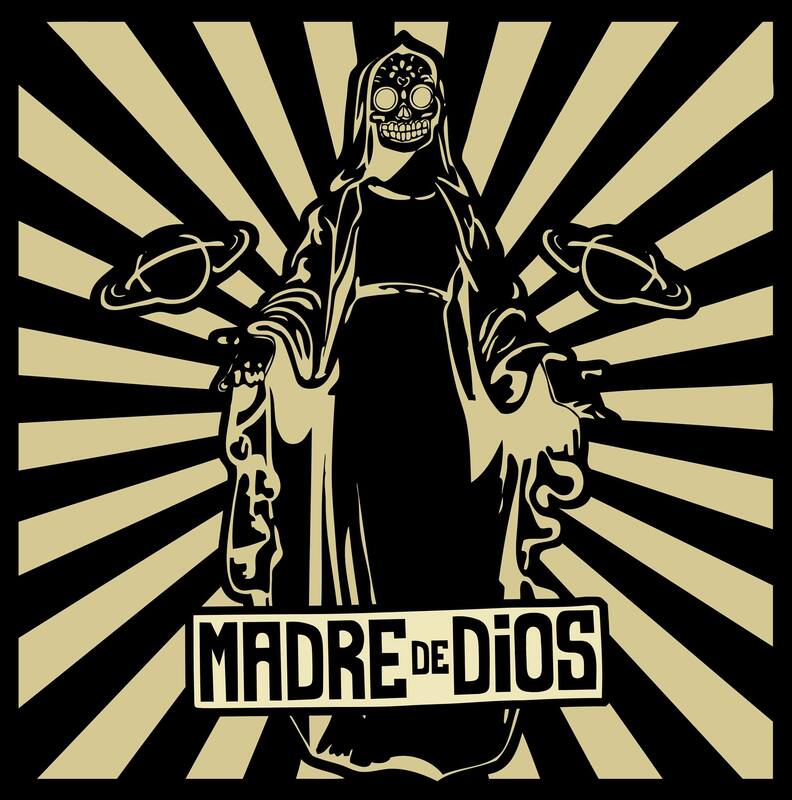 This is a fun, hard rocking good time, and though there are seemingly thousands of bands occupying the 'stoner rock/metal' landscape these days, Madre De Dios certainly deserve your attention.